The British Institute of Interior Design is the pre-eminent professional organisation for interior designers in the UK. Our growing national and international membership represents both the commercial and residential sectors, from heritage to cutting edge. In addition to rigorous entry requirements which assess training, experience and professionalism, we require our members to continue their professional development throughout their career to ensure their continued expertise in design process, practice and regulatory matters. The British Institute of Interior Design is the only professional organisation for interior designers which has been granted the prestigious and rare accolade of Institute status by the Minister of State as the pre-eminent body in its field. The organisation was founded in 1965 as the Interior Decorators and Designers Association (IDDA). In 2001, the IDDA was amalgamated with the globally recognised International Interior Design Association UK Chapter (IIDA), to form the British Interior Design Association (BIDA). 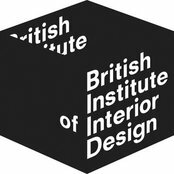 The Secretary of State recognised the BIDA as the pre-eminent body in the field in 2009 and granted Institute status so it became the British Institute of Interior Design. When working with a BIID-Affiliated professional on Houzz, please refer back to our website, www.biid.org.uk to verfiy their membership and membership category.